Harrison Smith is the producer and writer of a terrific movie called The Fields – it’s kind of a horror movie/thriller with some comedic elements. Read this edited transcript or listen to the funny Q&A at the end of this post. Walk me through what this movie is, Harrison. It’s a semi-autobiographical account of what happened to me as a boy growing up right on the outskirts of Easton, Pennsylvania. It’s very accurate in the portrayal of my grandparents. My grandmother is played by Cloris Leachman in the film, and the events took place right around the late fall of 1973. There was one death, I don’t want to say how that death happened to give away any spoilers, but some things were embellished because you need to to make a movie. However, it wasn’t straight carnage or anything like that. But the film definitely focuses on the terror and the attacks on the farm are all very accurate. Well, not only does it focus on the terror but it also focuses on the Tara because you had a Tara Reid in this movie which is a world class embellishment, if you ask me. And the good news is –I mean this sincerely – she did not ruin this movie at all. She’s fantastic. I’m telling you, the media has made a demon out of her and it’s totally unwarranted. She was a pleasure to work with – she was 100 percent professional. I’m not just saying that because I’m sure people will be saying, “he just has to say that.” That’s not true. I mean it. She was in the zone (as we call it) – 100 percent professional, and I thought she gave a really great performance in the film – she’s just terrific. She really is. Well, as I say, she did not ruin it. So that much I’ll agree with you on. Other than that, if she had had my phone number, I’d probably watch my words, too. Now, Cloris Leachman plays your grandmother, and that woman hits it out of the park. It’s just an amazing performance. It’s funny, it’s warm, it’s touching, it’s scary, all of the above, right? That’s exactly how my grandmother was. When I say that Cloris Leachman portrayed my grandmother, what I really do mean is that basically she channeled her. I think that the scene that stands out to me the most in the film with Cloris is the night that [the actor playing my grandfather] collapsed outside and she finds him, because as a boy I remember that happening very well. That was the first time I saw my grandmother scared. And it wasn’t because her house was being attacked, but because of the fear of losing her husband. I had no expectations going into this movie at all. I rent lots of crappy movies. But boy, when I saw this one I got about halfway through and I turned to my wife and I said, ‘I really care about these people.’ As you know, in a horror movie or a thriller to care that much about the characters is really so rare. So I have to congratulate you for that. Wow. Thank you. Originally, there was a bigger Hollywood director who wanted to direct The Fields who actually and came to me with a bunch of script notes – and I’m not going to say who it was – but I can tell you that they basically wanted Children of the Corn. By the end of the movie, they wanted everybody dead and lots of blood and mayhem. First of all, I didn’t write that kind of a movie and I’m not out to make that kind of movie. I probably would have gone quicker that way, maybe even making more money, but it’s not the movie I wanted to make. I really wanted it to be a tribute to my grandparents because so often these thrillers, they don’t feature older people as the heroes. They mostly focus on young adults, college-aged kids, that kind of thing, and it’s rare to see a movie where older people are the heroes. Now, for anybody who doesn’t know when you check this movie out on IMDb you’ll be surprised and delighted to learn that Richard Harris stars in it? Did you know that? [Laughs] Richard Harris. I love what ends up on IMDb. It’s amazing. No matter how many times you patrol that thing, you’d be amazed what pops up. I think I look for The Field instead of The Fields. So I guess that’s my fault. But I know that at one time IMDB had…I want to say Christopher Walken or something… No, he’s not in The Fields. There is The Field; I know there is that movie. Actually we had a bit of a title fight with Amy Mann over The Fields. The movie, The Texas Killing Fields actually was supposed to be called The Fields. They had to change their name because of us. You were able do some improv with Cloris. I saw some of that in the DVD extras. That woman is a master of that kind of thing. What was that experience like? You let Cloris do what she wants. We had a personal chef for her on the set and there were nights that Cloris decided she was going to eat off-set. And one time I was actually sitting at the production table and I heard on the walkie-talkie an assistant say, “Cloris is going over the wall.” She’s just leaving. She’s going to go do something. Now you had her dressed to be heavy and that wasn’t really her, right? Right. Actually Cloris, believe it or not, for 80-some-years-old is very shapely, and when she arrived she sat down with me for hours looking at photographs and studying video of my grandmother. She turned to the directors, and she said ‘I want to be 25 pounds heavier.’ Because my grandmother was stockier. She was perfectly right because she wanted to have that walk and embody my grandmother –even down to how she held the cigarette, she wanted to make sure it was all right. But she really didn’t go the full distance because she didn’t get her nose changed. That’s the Nicole Kidman, Julia Roberts move, isn’t it? Right, right, yeah, she didn’t do any plastic surgery. But God love her, she was just a month out from getting a knee replacement. She had blown her knee out skiing. She’s 80-some-years-old and she’s skiing. Now the next movie that’s in the pipeline is one you’re working on right now, correct? Yeah, it’s actually wrapped. It is done. It just came back from Cannes; we sold a number of foreign territories on it already and now we’re waiting on who’s going to pick it up for North America. It’s called Six Degrees of Hell, and it stars Corey Feldman. Now, I’ve got to ask you the obvious question which is do you not want anybody outside of a Comic Con to see this movie? Here’s the thing with horror, unless you have a really big budget, the issue is that horror makes names. It doesn’t really need names. And so when you’re an Indie film, every schmuck with a Best Buy prosumer camera thinks they’re going out to make the next Paranormal Activity. It doesn’t happen that way. You just don’t go out and drop $15,000 to make $250 million. It did work for Oren [Peli, writer of Paranormal Activity]. You got to admit that. It did, but here’s the thing, most people don’t know the whole story behind that. Believe me, I talked to the distributor that passed on Paranormal Activity, and that movie sat around Hollywood for two years. Steven Spielberg was going to remake it into a 100-million-plus kind of film and they didn’t know what to do with it. And then finally they came up with this whole Blair Witch kind of marketing campaign and that whole “demanded” thing was so totally fabricated. “Demand the movie to get a million signatures, we’ll bring the movie to your town.” They were bringing the movie to your town anyway. It was a clever ploy to rack up as much marketing data as they could. But it gives the false impression that anybody with a camcorder and Final Cut Pro is going to make the next $200 million dollar blockbuster. These things do happen, I mean obviously. But even Blair Witch was shot for like 60 grand and Artisan put close to a million in that to clean it up and do a proper viral marketing campaign. Okay. So wait a minute. I’ve got to stop because I got to get all this down. So I need a Prosumer camera, I need Final Cut Pro. What else do I need? I think you might have. But do you actually fess up and tell them? Oh yeah. Again, Corey gets a bad rap on some stuff but he’s got hell of a fan base. And when you’re making a film as small as ours, you need to set yourself apart somehow to get that attention, and it worked for us. Most big budget horror doesn’t really need a name. Look at The Shining, the only reason The Shining is successful is really because of Jack Nicholson. With 1408, the Stephen King movie with John Cusack and Sam Jackson, it didn’t work. I mean, it bombed. Big names don’t really do a lot. Hey, I had to tell you I got a text message from Carrot Top, he wants to be in your next movie. Oh yeah, are you serious? I love Carrot Top. I’m telling you. I know, you probably think I’m the biggest idiot now and so do your fans. But I’m telling you… I guess really what it also comes down to is you’ve got to do whatever you’ve got to do. I know you have to go because you’ve got Bobcat Goldthwait on the other line. I do want to thank you so much for this film. It’s just wonderful. Talk about how we can see it now. It is right now available on Amazon. It’s been doing extremely well in the Top 100. It’s on iTunes. It’s ready to open up on Netflix I believe at the middle of this month. It has been picked up by RedBox and will be over on Video on Demand on Comcast as well, too. 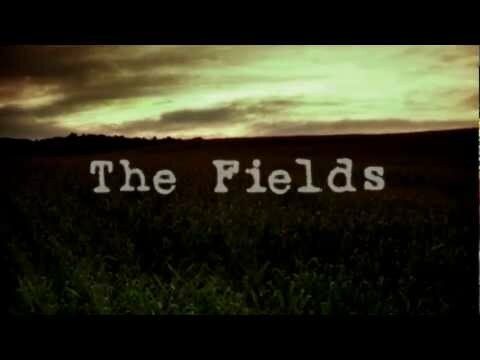 The movie is called The Fields . It’s really, really super. It’s going to surprise you. It’s going to delight you, and it’s going to enthrall you. I have watched this film and surprisingly read about this. It has great actors and production. Great job here!